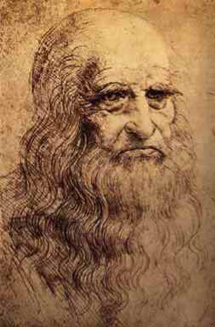 Leonardo da Vinci was born on April 15th 1452 in Vinci, Italy and died in 1519. He was an artist, scientist, and inventor during the Italian Renaissance. He is considered by many to be one of the most talented and intelligent people of all time. His journals were filled with over 13,000 pages and many of his drawings were of ideas he had for inventions. 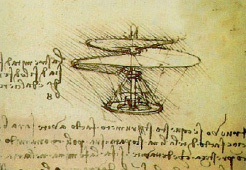 He drew pictures and designs of hang gliders, helicopters, war machines, musical instruments, various pumps, and more. H e was interested in civil engineering projects and designed a single span bridge, a way to divert the Arno River, and moveable barricades which would help protect a city in the case of attack. 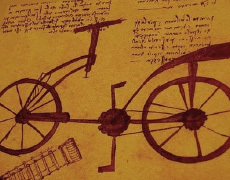 Some people think he was the first person to invent the bicycle! 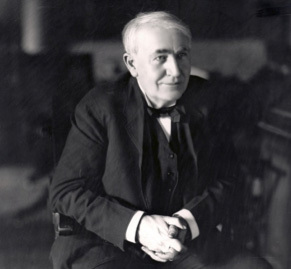 Inventor Thomas Edison was born in Milan, Ohio in the USA in 1847. He created such great innovations as the electric light bulb and the phonograph. A clever businessman, he held more than a 1,000 patents for his inventions. 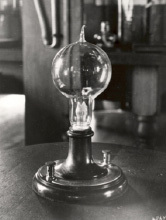 Although most famous for inventing the light bulb, earlier versions had been around for some time, but it was Edison who developed a more reliable long lasting bulb. 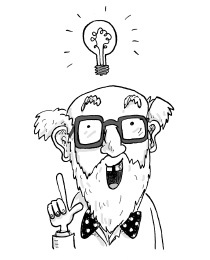 He then invented the entire electric utility system to power all the light bulbs, motors and other appliances that followed soon after! Born in 1955, Tim Berners-Lee is famous for being the inventor of the World Wide Web. Trevor Baylis was born in London in 1937 and is the inventor of the wind-up radio. The wind-up radio needs no batteries and has brought communication and education to areas of the world where people previously had no access. The Prof, the inventor of the Petbots was born in Surrey in 1928. He spent his whole life as an inventor and built the Petbots to keep him company and help look after him and the house they all lived in. 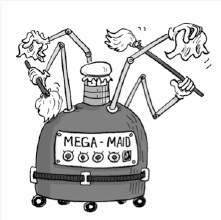 He invented the Mega-Maid, a cleaning machine to help around the house. The wind-powered lawn-mower and an automatic pet feeder (which he always forgot to fill! ), amongst many other useful gadgets.